My father is a sculptor. He used to live on Lafayette and Spring. 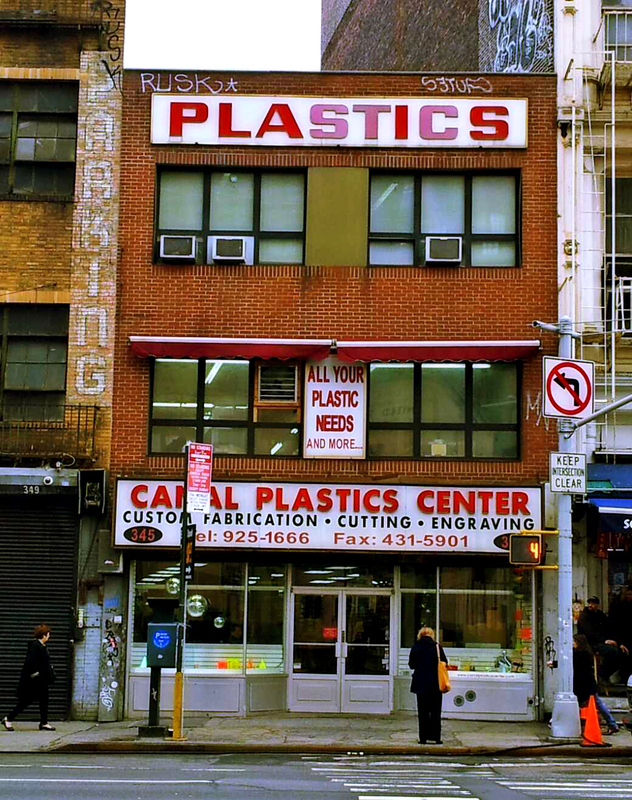 This is the store where he would get plastic scrap from. They would give it to him for free and he would bring them a sculpture in exchange. For years they had is sculptures in the window. I love Canal St.
Hekky - that's so cool! It's taken me a long time, but I've come to like Canal Street, too. It's easy to get stressed out by it on a hot summer day, but I love the architecture and the fact that it's always lively.